The Float at Marina Bay was presented as a temporary replacement for the Singapore National Stadium while it got rebuilt into a modern stadium. 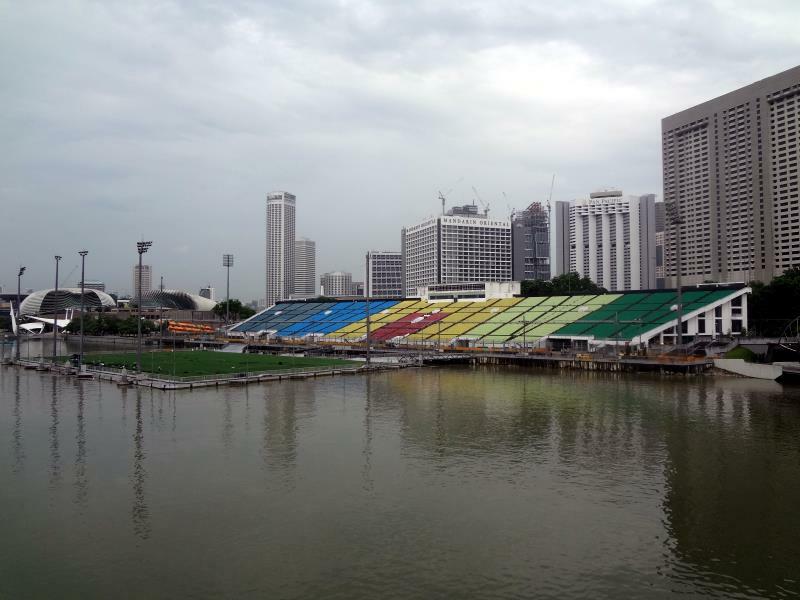 The idea for a floating stadium came from the organising committee of the National Day Parade, with one of the greatest benefits having the scenic Singapore skyline as a backdrop. The floating platform is fixed to the seabed by six pylons and can hold up to 9,000 people. The separate stand, which sits fully on the shore, can hold an approximate 30,000 spectators. While the platform measures the size of a football pitch, it has only sparingly been used for football matches, and never hosted the Singapore national team. The stadium has most of all been used for concerts, ceremonies, and community events. 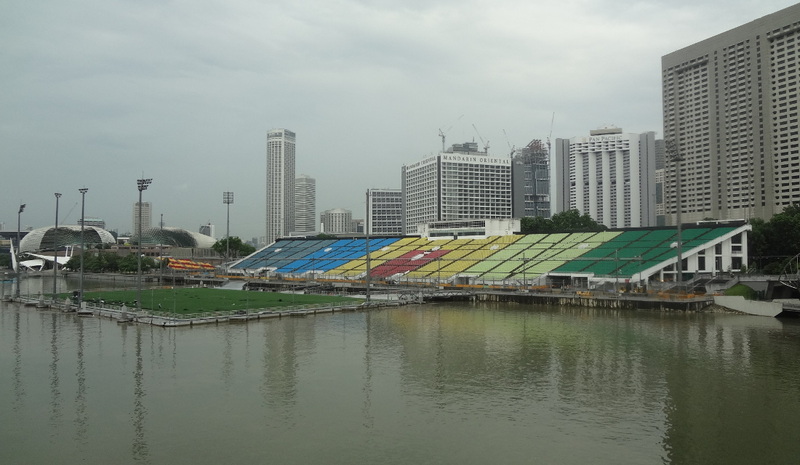 The Float at Marina Bay was originally planned to only host events for five years, however remained in use for longer due to the delays in the construction of the new Singapore National Stadium. Its future is currently unclear. The Float at Marina Bay is located on the north side of Marina Bay at just a few hundred metres from the central business district (west) and the iconic Marina Bay Sands hotel. It can therefore easily be walked to from most central locations. The closest metro station is Bayfront station at the Marina Bay Sands, which lies a 5-minute walk away from the stadium. Marina-bay.sg – Official website of the Marina Bay area. Yoursingapore.com – Official Singapore tourism website.